Mainsail track cleaning. It WORKS!! This is 30cm of (rough) nylon rope with a tether whipped to it. The tether ends just above the rope on one end and extends down about 5 cm or so on the lower end. 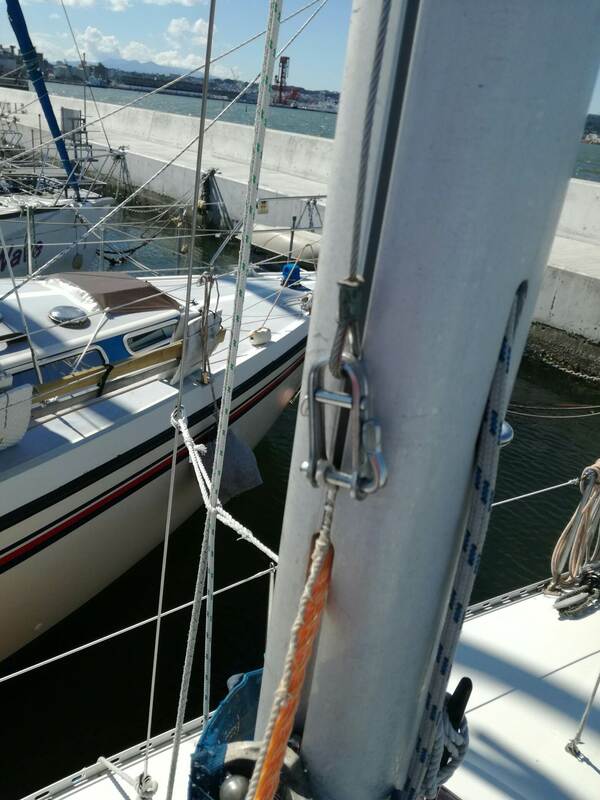 The main halyard is connected to the short end (Pic 2) and a light downhaul to the other( pic 3). The rope is liberally sprayed with silicone grease then fed into the track. I hauled up and down a couple of times. Removed it and resprayed and repeated. The question is was it the cleaning or the lubrication.? I think all you have done is lubricated the whole track, but at least it is working. 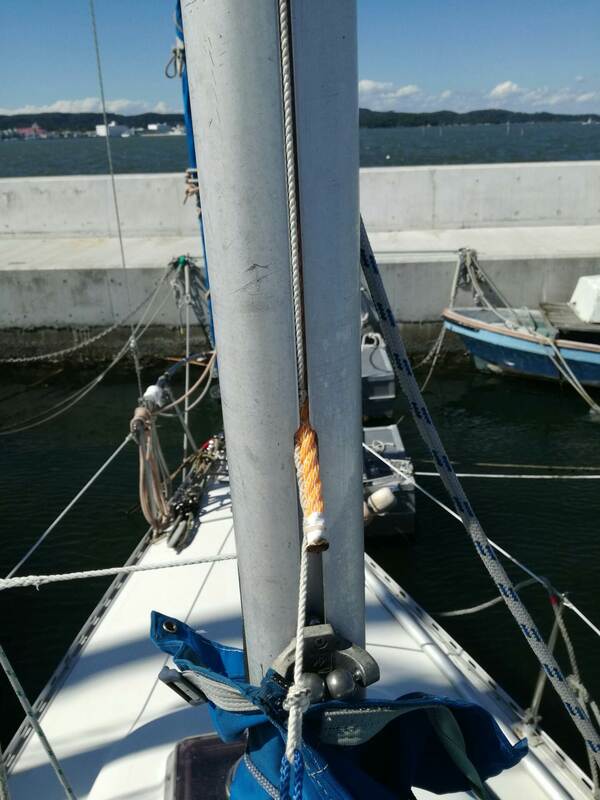 If your sail is old, the bolt rope may have shrunk, do you notice "bunching" of the cloth around the boltrope near the tack at full hoist? 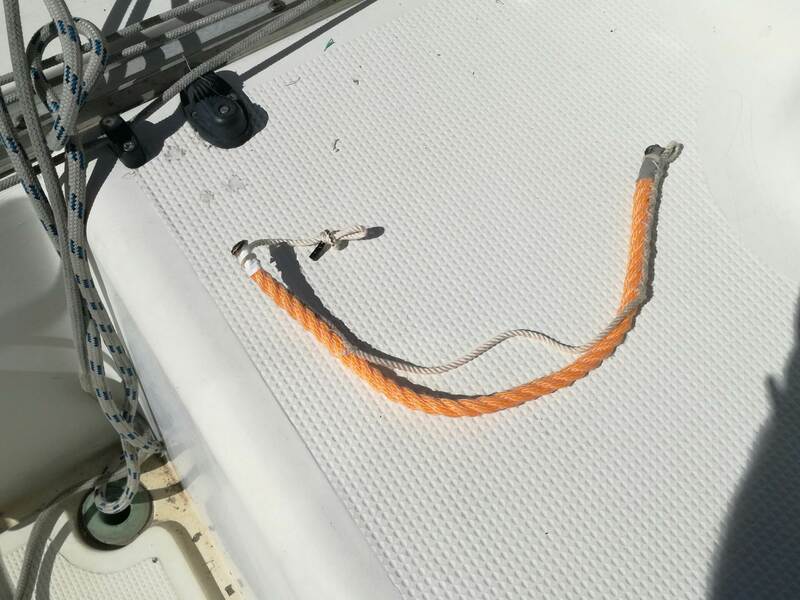 This problem can be sorted by cutting / unpicking the bolt rope stitching at the tack, and pulling the sail down around the boltrope, allowing it to go up the seam. Make sure luff is smooth and uncreased, and put a couple of stitches in where the bolt rope now finishes.